Laureate Professor Ingrid Scheffer AO lives and breathes her work in epilepsy genetics. The paediatric neurologist and epileptologist at the University of Melbourne and Austin Health is a world leader in her field. Starting out 25 years ago, it was believed severe epilepsy was acquired not genetic, however Professor Scheffer’s life’s work, in collaboration with Professor Samuel Berkovic and others, led to the identification of the first epilepsy gene and many more subsequently. While Professor Scheffer often lives “four careers in a day, rather than a lifetime” – she’s a clinician, scientist, educator and administrator – it’s her transformative research and work with international collaborators that drives her. In fact, her recent work led to the first major reclassification of the epilepsies in three decades (published in March 2017 for the International League Against Epilepsy). 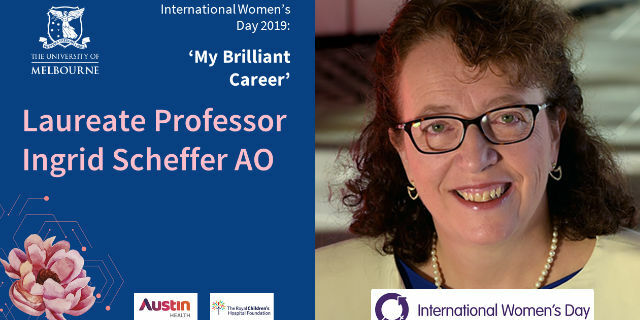 As a result of her career breakthroughs helping to transform the diagnosis and treatment of epilepsy, Professor Scheffer has received many awards including co-recipient of the Prime Minister’s Prize for Science and the Order of Australia, both in 2014. Passionate about women in science, Professor Scheffer says it’s important to keep acknowledging there are still challenges. Professor Scheffer seeks friendship and support from like-minded women in biomedicine. “Some of my closest friends are women doing similar things in other countries,” she says. It’s these relationships that provide her with balance. “I call myself an anti-role model because I work most of the time.” However, there is always time for dinner with friends. At home, family life is underpinned by meticulous organisation, a secure infrastructure and a “very good husband”, says Professor Scheffer. 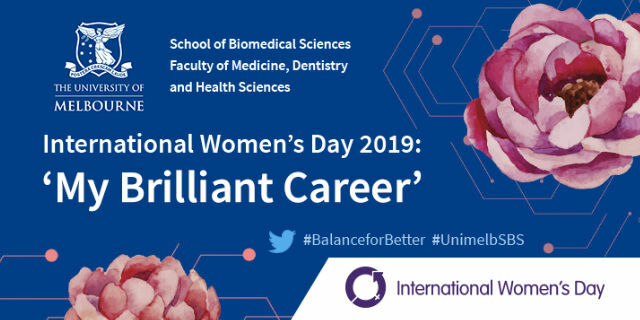 Hear more from Professor Scheffer and the panel of leading women in biomedicine in the International Women’s Day: My Brilliant Career podcast. Available from Friday afternoon, 8 March.